Since most IT departments are chronically understaffed, the business departments of companies used various database software in the past to implement small business applications quickly and cost-effectively. Or so-called single-point solutions were acquired, solutions that solve a concrete problem, which are usually isolated and not sustainable and therefore do not follow a holistic strategy. These approaches have often sufficed for an initial problem solution, but what is the situation today? In the course of digitalization, companies are facing the great challenge of finding numerous applications in an isolated form in everyday business life. If existing applications have to be adapted to new requirements, many companies reach their limits. Even though every company today talks about digitization, it lacks an integrated implementation. It is all about classic values such as cost savings, improving quality or increasing efficiency. In addition, the topic naturally offers great potential for establishing new business models or increasing the degree of innovation of companies. But this potential cannot be fully exploited by the isolated solutions, because it hampers the flexibility of companies. A lot of information can only be accessed with difficulty or not at all, which is due to the resulting silos. It requires a sustainable strategy and a holistic approach to dissolve these silos through new applications on a unified technology. To successfully master digitization, companies need tools to create integrated applications faster and more sustainably. 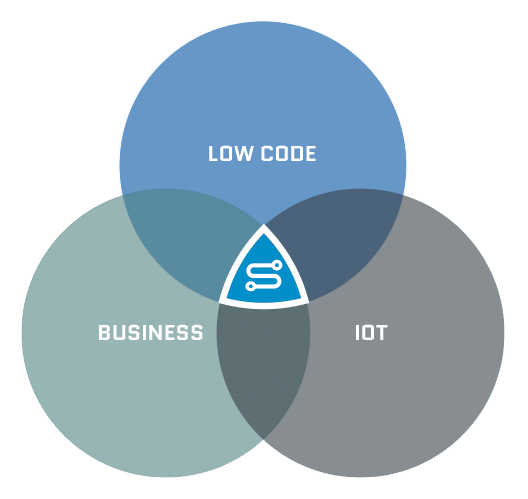 In order to bring your single-point solutions to a common denominator, many companies already rely on the low-code platform Simplifier. 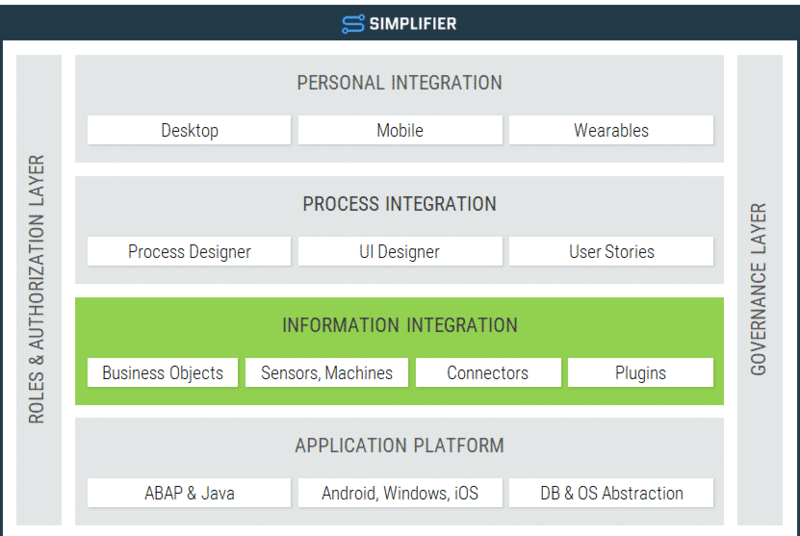 Simplifier follows a complete approach, as it is not limited to IoT or business applications. Instead, the low-code platform offers a miracle weapon in terms of integration. Systems, machines or sensors can be connected via the configuration approach with just a few clicks. If requirements change and, for example, one connected system has to be replaced by another, the application does not have to be rewritten. Only the configuration of the interface has to be adapted. For example, a created application can also be used in another plant that uses different systems. Here only the application must be copied and the interface to the systems must be adapted in the configuration. The Simplifier is the platform for digital transformation for configuring integrated business and IoT applications. It uses only web technologies and open standards to ensure future viability and development opportunities. 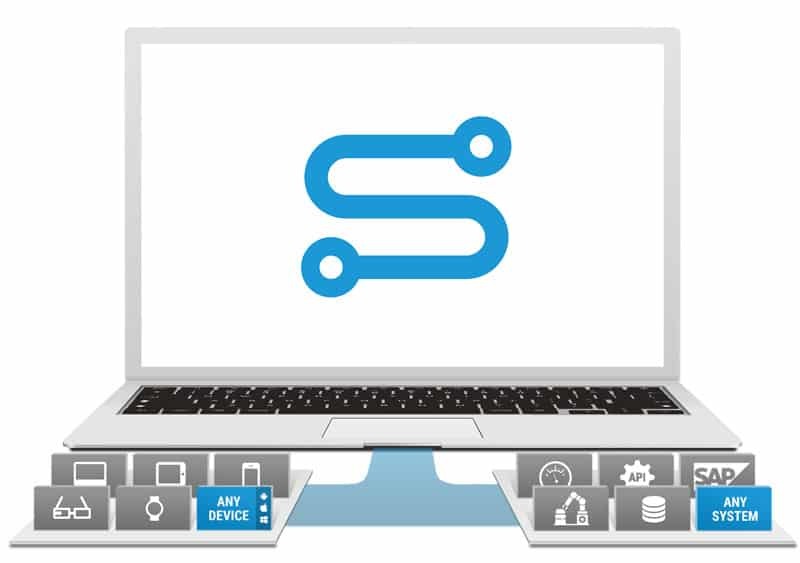 The integration options of the Simplifier enable easy implementation of both integrated business and IoT applications. Pure IoT platforms have no focus on the actual application development and are usually less suitable for integrating existing business systems. Since Simplifier is not limited to a specific industry, our target customers can be found throughout the business world. For example, applications for the manufacturing industry and the energy sector were implemented. The independence of the industry allows a large scope, which also means that the platform itself is constantly evolving. Interaction of Smart Glasses and SAP in the warehouse of the future. The platform character of the Simplifier not only allows independence with regard to the industry, but the solution can also be used in many different areas of the company. Applications for production, logistics or the service sector have already been implemented. A step towards the future with the "UGAD" real estate app. 360° customer view with the sales portal for the energy industry 4.0. Innovative Virtual Reality trade fair application in the textile sector. Make the future of sales more efficient with mysalesassistant. 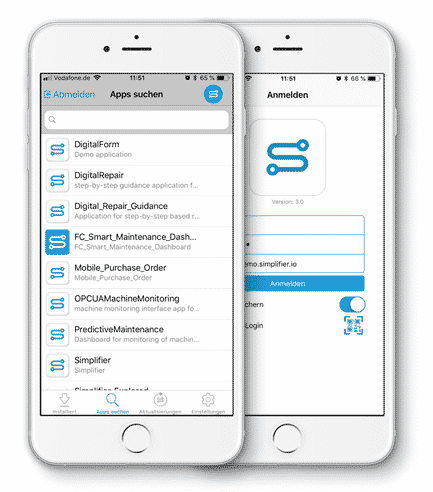 A mobile app for machine data acquisition and analysis supported by Augmented Reality. Successful industrial IOT digitisation from warehouse to quality control. Digitizing manufacturing processes using the example of LEGO® excavator manufacturing. Digitization of relevant business sectors of a utility group. Our aim is to provide companies with complete support for their digitization strategy and to offer efficient solutions for all their IT department needs. Since we cannot have profound know-how in every industry or in every business sector, we rely on cooperation with competent partners. Together with our partner network, we can also meet special and very specific IT requirements in the course of digitization and cover every application with trained and specialized employees. 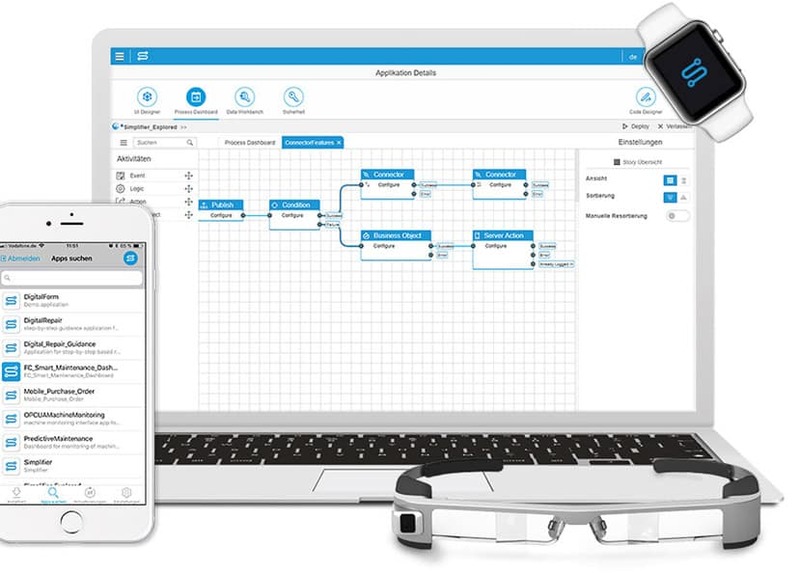 By using the Simplifier you get a solution for creating multi-channel apps in your company. The low-code platform forms a uniform technological basis for networking people, processes and end devices. The Simplifier can be semantically divided into the areas of person integration, process integration, information integration and application platform. 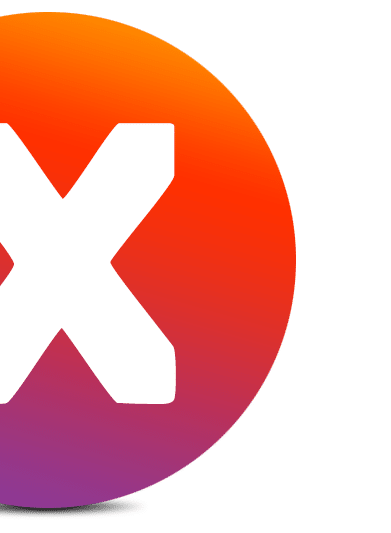 By using modern web technologies, applications only have to be configured once in order to be able to use them on all end devices such as desktop, smartphone, tablet or a wearable. The interface adapts automatically. It is even possible to change the end device while the process is running. By using easy-to-use elements of the user interface (UI) you can easily “click together” your personal application. Various long established functional elements are available for this purpose. You can use the UI Designer to create and design simple and intuitive user interfaces. Preconfigured layouts and elements are placed simply by drag & drop and the properties are adjusted. You can create your own elements at any time and add templates for further use. This way you build a valuable library of elements such as tables, buttons and complete login forms, which you can use again and again for further applications. In the Process Designer, you create navigation steps and process logics without having to touch code. By subdividing them into individual User Stories within the Process Dashboard, reusable processes are defined that can be edited (collaboratively) by several developers in parallel. Individual adaptations or extensions or even the use of special functions are still possible by coding as required. Required data sources such as existing ERP systems or sensors used are quickly and easily integrated into the processes via prefabricated interfaces (connectors). 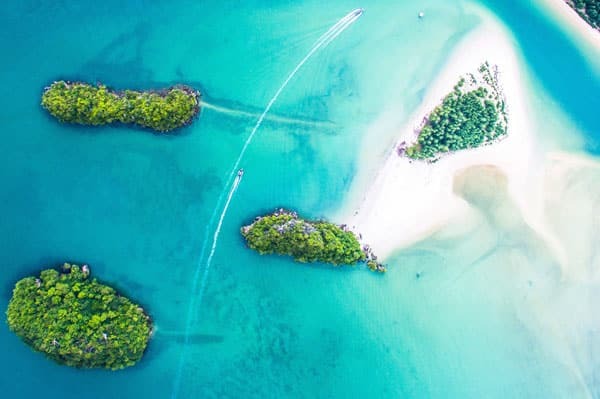 Thanks to standardized connectors and state-of-the-art interface technology, system landscapes can be integrated particularly flexibly with the Simplifier. These include, for example, MES systems, CRM systems or direct coupling to machines, plants or sensors. The use of business objects enables you to integrate complex applications with corresponding business logic. In addition, additional functionalities and the outsourcing of larger calculations to external servers can be implemented using plug-ins. With the help of the Simplifier, existing systems are integrated and not replaced. The application platform consists of a non-blocking, highly scalable application architecture, according to so-called REST principles. Furthermore, there is a native mobile client for all common operating systems. The platform runs either in the cloud or on-premise. 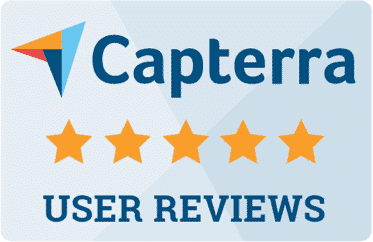 The Simplifier has its own user administration. Each user can have one or more roles. Roles in turn map the authorizations and have one or more authorization objects. By default, a separate authorization object is created for each application and connector, business object, and so on, so that a very fine-grained authorization concept can be created.